You can also create an ID by visiting the Create Your Apple ID website. To set up an Apple ID without a payment method, review these instructions. The option to create a new Apple ID shows only when not logged in with an existing ID. 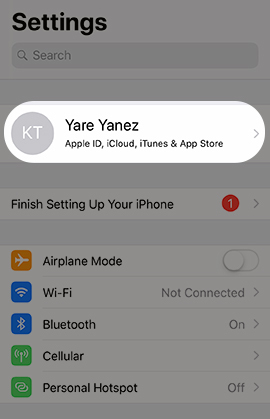 When creating Apple ID as part of initial setup, tap Create a Free Apple ID from the Apple ID screen then follow these steps. Tap Don't have an Apple ID or Forgot it?. Using the dial, enter your birthdate then tap Next. Enter your first and last name in the spaces provided then tap Next. From the 'Email Address' screen, tap 'Use your current email address' or 'Get a free iCloud email address'. The email address entered becomes the Apple ID. From the 'Email Address' screen enter preferred email then tap Next (upper-right). Enter the password into the required fields then tap Next (upper-right). To continue, review the License Agreement then tap Agree (lower-right). An email with verification steps is sent to the address chosen as the Apple ID. For additional setup info, see Change iCloud feature settings. For more info, refer to Frequently asked questions about Apple ID.